Anyhow, trading conditions were still pretty bad on August 7. 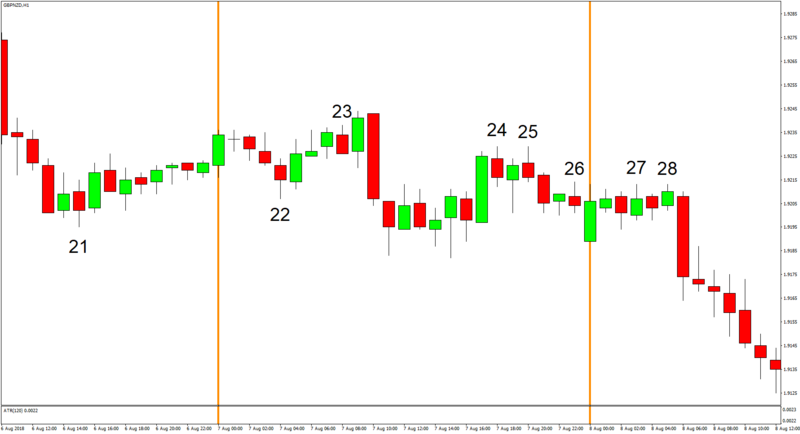 It would even be more accurate to say that trading conditions got worse, given that volatility tightened even further since the day’s range was an abnormally low 60 pips. Moreover, GBP/NZD traded sideways. 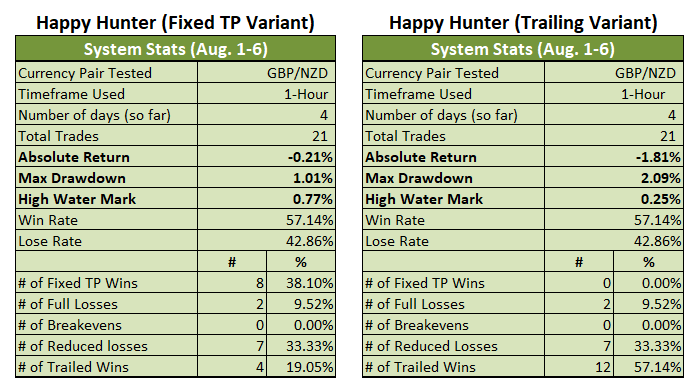 However, GBP/NZD moved lower on August 8. And the system got lucky since a bunch of trades were opened in the direction of the downswing but only one loser was generated. 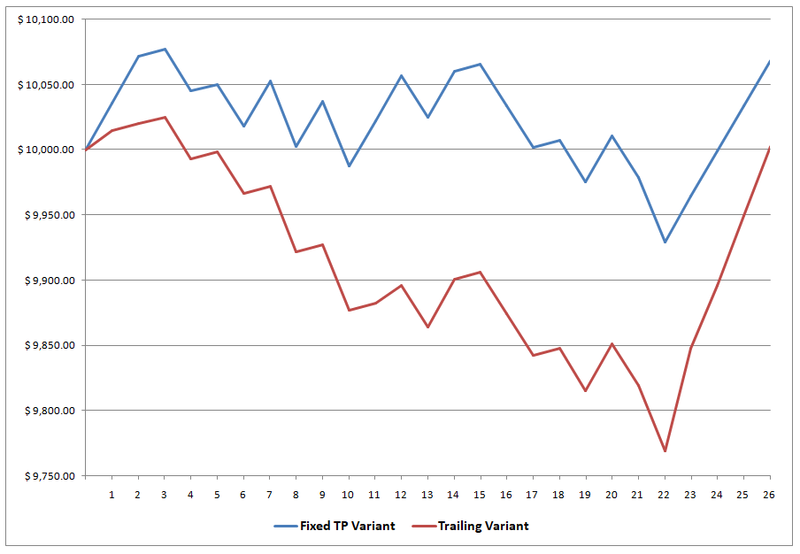 And the gains from those winning trades were enough to push both Variants back up into positive territory. 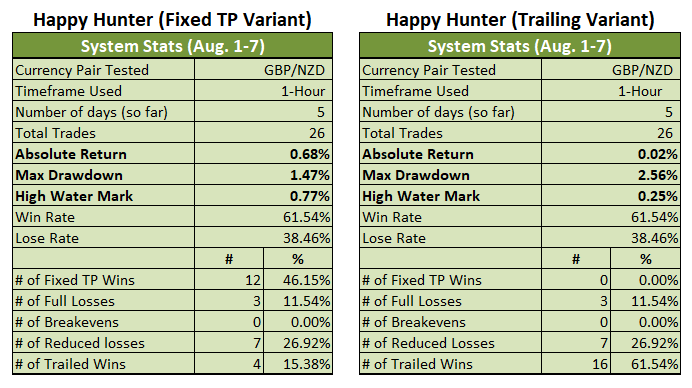 The Fixed TP Variant now up by 0.68% for the month (-0.21% previous), while the Trailing Variant is up by 0.02% for the month, which is barely above breakeven. Still, that’s a strong recovery since it was down by 1.81% for the month previously.